Over 600 fund in the donate shopping section. 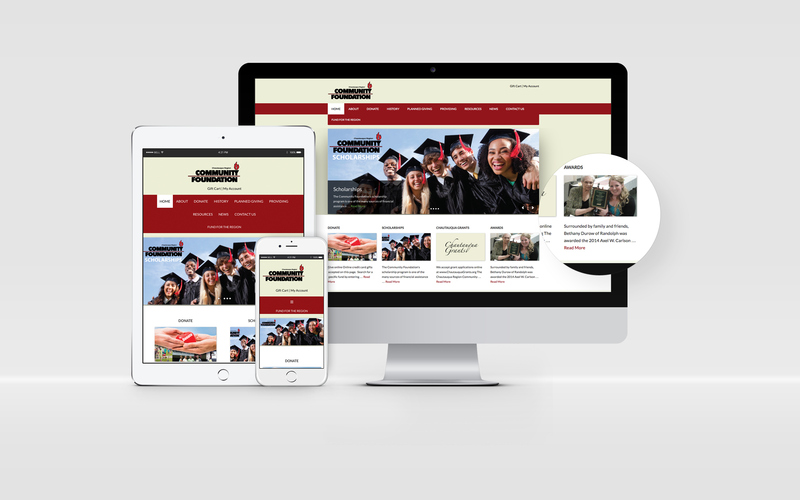 The Chautauqua Region Community Foundation website was a large project with over 1000 pages of funds and information relating the non-profit organization’s long history of assisting our community. 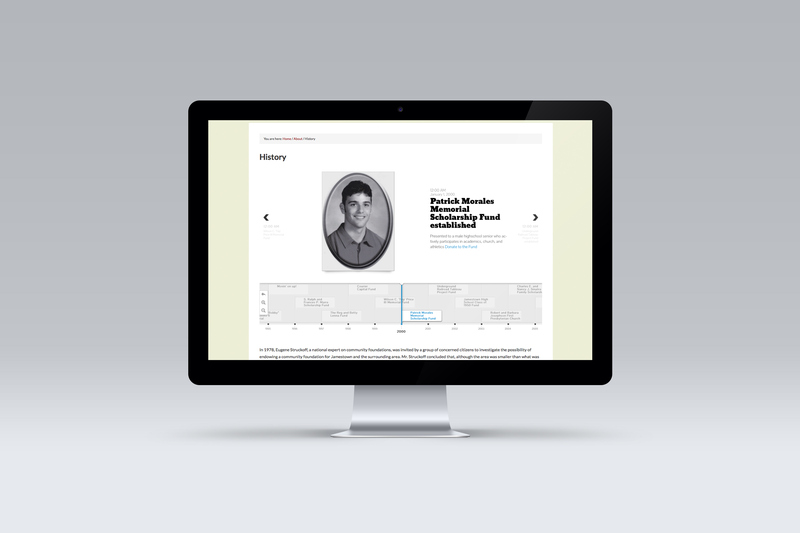 We thought it was important to add an interactive timeline so that the Foundation’s history could be documented, from its inception to far in the future, with all the good work they do. 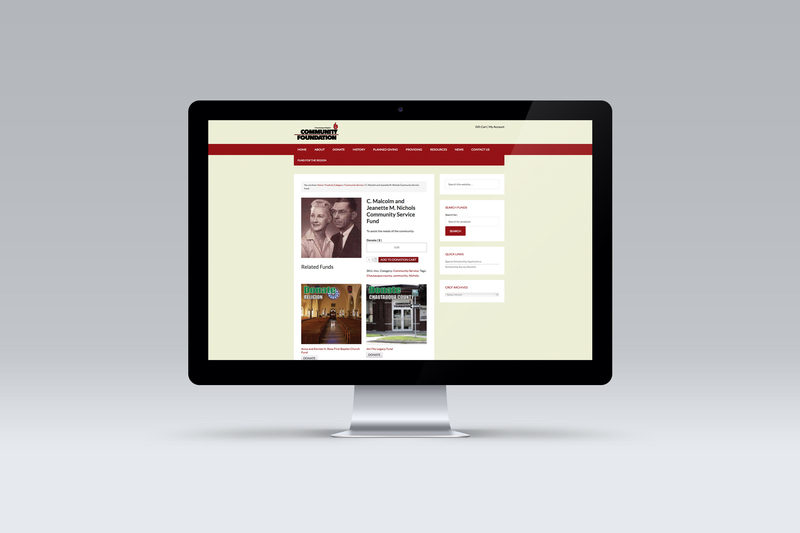 By clicking on each point on the timeline viewers can see photos and information for each event from the creation of the foundation in 1980 to current events and funds added. It was important for layers of interaction with the community that they support so new photos of the board and staff, taken by Joel Marsh Productions, were integrated into an interactive gallery. Social media was an equally important piece so that news, topics and updates could be seen by the community. Social media adds a layer of community involvement through each social media platform. Using social media the community can also easily share funds and information to raise awareness for something they are passionate about. 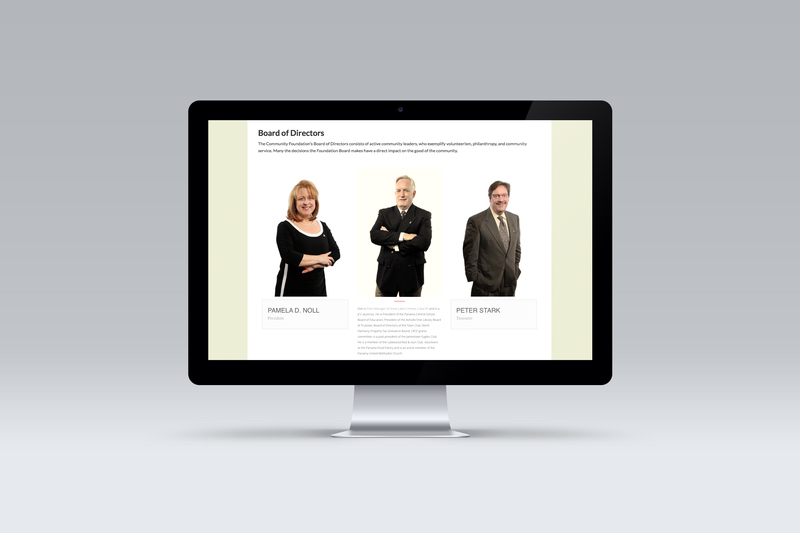 Refreshing the look was an important component but creating an interactive and enjoyable experience for the end user while allowing for fluid updating by the client was key. We created the Wordpress site to streamline the adding and updating of funds, added a new shopping cart for donations and made a crisp and clean look to the overall site. Having a fully functioning and clean website allows for more traffic and interaction by viewers and allows staff to focus on other tasks so that the message gets out and their mission is fulfilled for the community.